Beautiful Finca Guadalupe Zaju occupies 310 hectares right on Chiapas, Mexico’s famed ‘Ruta de Cafe’. This ‘Route of Coffee’ rides along the Guatemalan border, north from the border town of Tapachula, through Mexico’s famed Soconusco region. This exceptional micro lot hails from the highest reaches of the farm, which is actually three farms combined into one, under the name of Guadalupe Zaju. The section named ‘Finca Chanjul’ is one of the oldest parts of the farm and rides along a ridge at about 1,400 metres. The section is planted primarily under traditional varieties of coffee tree, such as Bourbon and Catuaí, and produces Guadalupe Zaju’s premier lots. The coffee at Guadalupe Zaju is 100% shade grown, the farm is Rainforest Alliance, Utz AND Cafe Practices certified. The farm also takes water – a scarce resource in previously water-plentiful Chiapas seriously. Filtered water fountains run for the workers and aqueducts bring pure water from the springs above for use not just for processing but also for drinking and cooking. Water conservation is also taken very seriously on the farm. Previously, each of the smaller farms had their own mill. 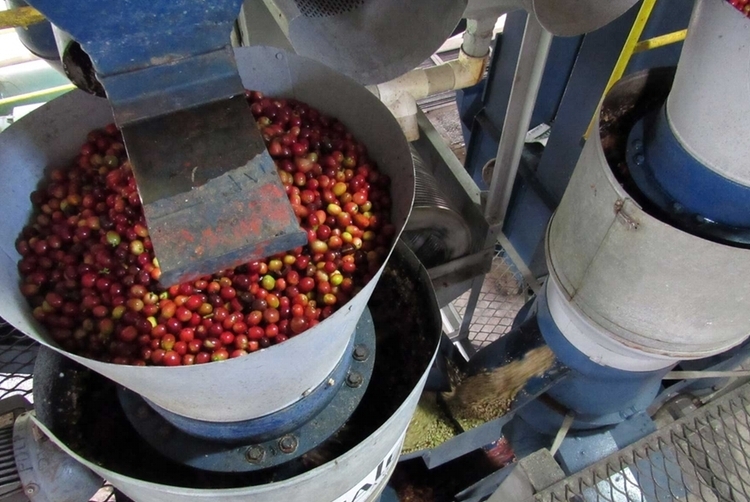 The farm has a water treatment plant for all water used during processing and has consolidated operations and process all coffee at a single mill, where water can be more adequately treated through the mill. The old mill at Chanjul has now been converted to a school.